Outdoor kitchens are growing in popularity as cabin owners reclaim outside space. The outdoors lifestyle is perfectly suited to log home owners who can enjoy cooking dinner outside with friends and lounging in your outdoor space. Whether you want a simple built-in BBQ or an elaborate cooking space for full-blown gourmet meals, you can accommodate your plans with the many outdoor layouts and accessories available today. The relaxed atmosphere with friends, the enjoyment of nature and the outdoors, all combined with the modern ease of outdoor cooking utensils dedicated to meal preparation offer an appeal that everyone enjoys. Just as guests gather in the kitchen indoors, they will congregate around the grill outside. Be sure and plan for space and traffic around the cooking area so you’re not crowded. Add a source of heat if you live somewhere that isn’t warm year-round. This can be a fireplace, chiminea, fire pit, or gas patio heater. You won’t need it all the time, but when you want to spend an evening outdoors and the weather is chilly, you’ll be glad you have it. Arrange the grill and seating area to accommodate the best viewing angles of your garden, water feature or other focal point. Choose your most prominent garden or landscaping feature you would like to draw attention to and orient your plan around that. Choose your appliances so that they require no maintenance. 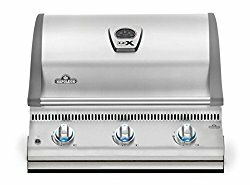 Stainless steel is the popular choice for a drop-in BBQ as it won’t rust and can be wiped down easily. The last thing you want to do is add another maintenance item to your list. Make sure you include a hidden area for your trash can – you will use it. It saves people having to run inside to dump trash. Be sure to include lighting in your plan so you can comfortably and safely use the area after dark. Low-voltage lighting is easy to use and safe for anyone to handle. Include utility lighting as well as dramatic accents. Countertops tend to be higher in outdoor cooking spaces. Use 42” as your countertop height to match bar stools and accommodate people standing. Granite countertops are the most popular choice for style and all-weather ruggedness. 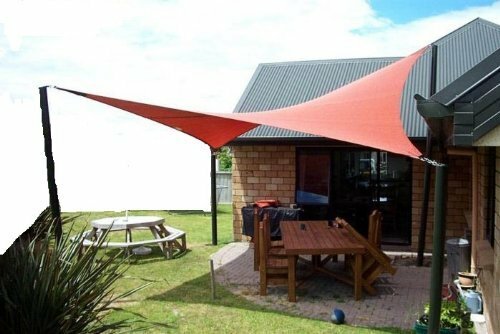 Include shade - either a permanent retractable awning or a sun sail shade - so you can utilize your outdoor cooking area even in the summer sun. It can get hot outside, especially if you have a grill going. A sun shade will make it cooler prevent sunburn. Keep hot grills or pizza ovens away from your log home or other flammable furniture. Plan your seating arrangement to separate anything that can be damaged with heat or flames. Take into account traffic patterns around your cooking and food prep areas just as you do indoors. An efficient layout will speed up food preparation time and prevent crowding. Al fresco entertaining is easy and fun with an outdoor kitchen. Log home owners love the outdoors and want to spend time there and there’s no better way than breaking bread with friends and family. These tips can point you in the right direction as you plan your al fresco dining layout for maximum enjoyment.